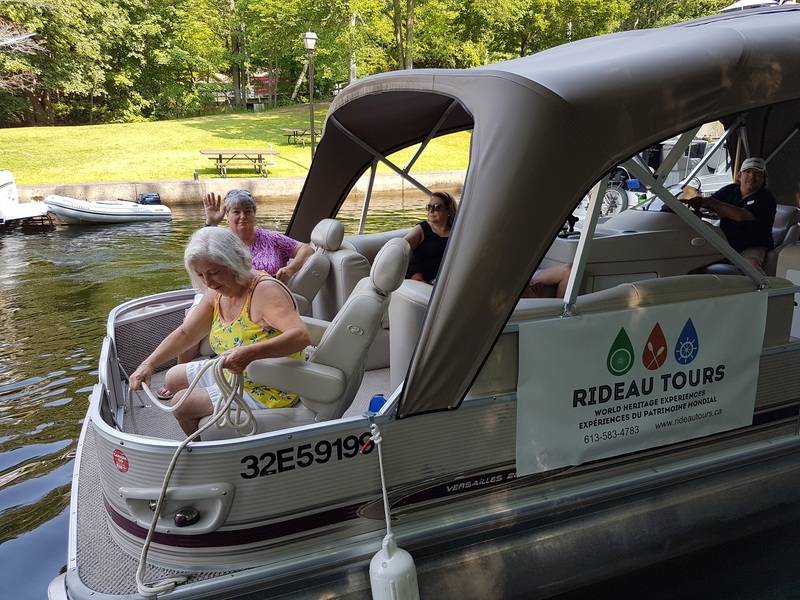 Cruising on the water is a lovely tradition along the Rideau Canal. 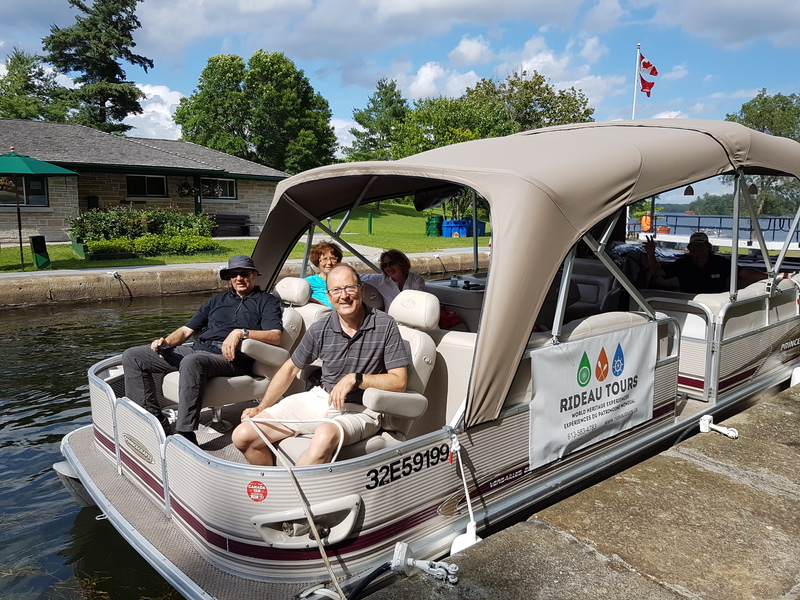 Capitaine Luc welcomes groups of 3-12 passengers aboard a new pontoon boat. 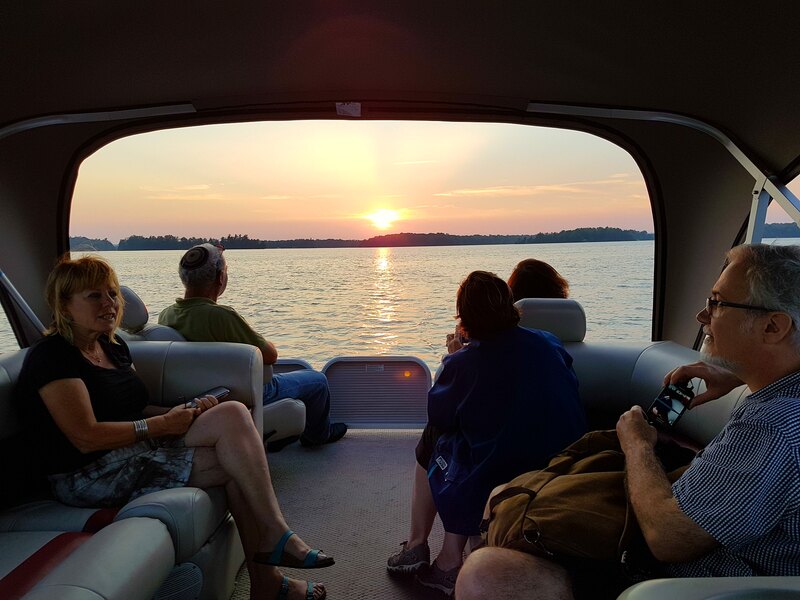 Cruises run mid-May to mid-October with custom tours also available. 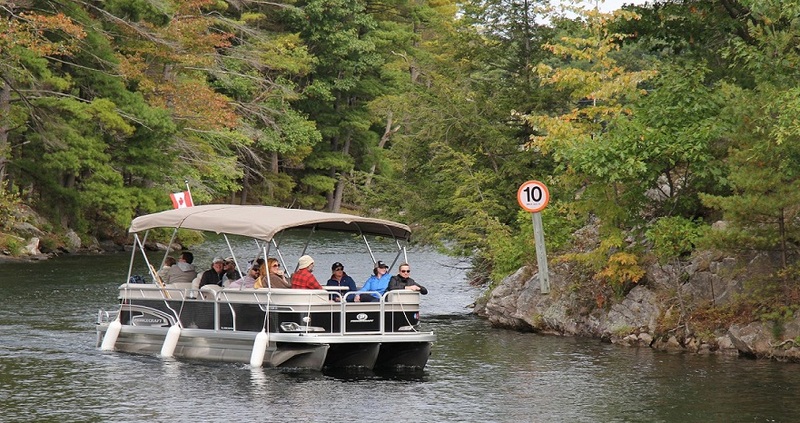 Lifejackets and all safety equipment provided as per Transport Canada safety regulations. Cruises depart the Chaffey’s Lock wharf next to the Parks Canada parking lot. The pontoon has a full sun cover and a full enclosure to protect in case of light rain or wind. We also have cozy blankets to keep you warm on those cooler days. 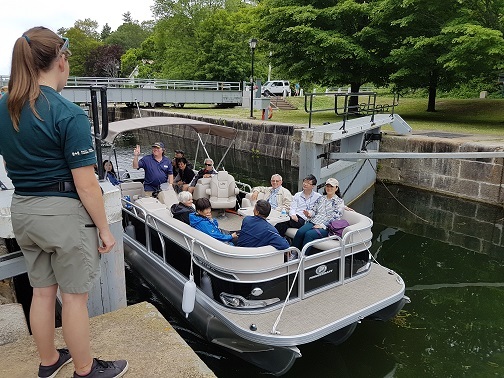 2018 SPRING SCHEDULE Saturdays & Sundays Starting early June 2018 SUMMER SCHEDULE Daily from early June to end of August 2018 FALL SCHEDULE Daily Sept 9 – Oct 31 (see Fall Colour Cruises below) Final 3 Lock Tour of the season on Canadian Thanksgiving weekend. 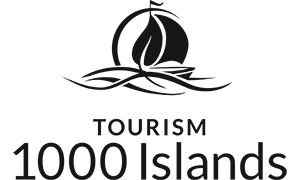 Charters and Private Tours also available. 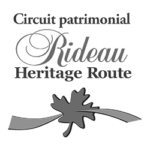 Call Rideau Tours at 613-583-4783 for more details. 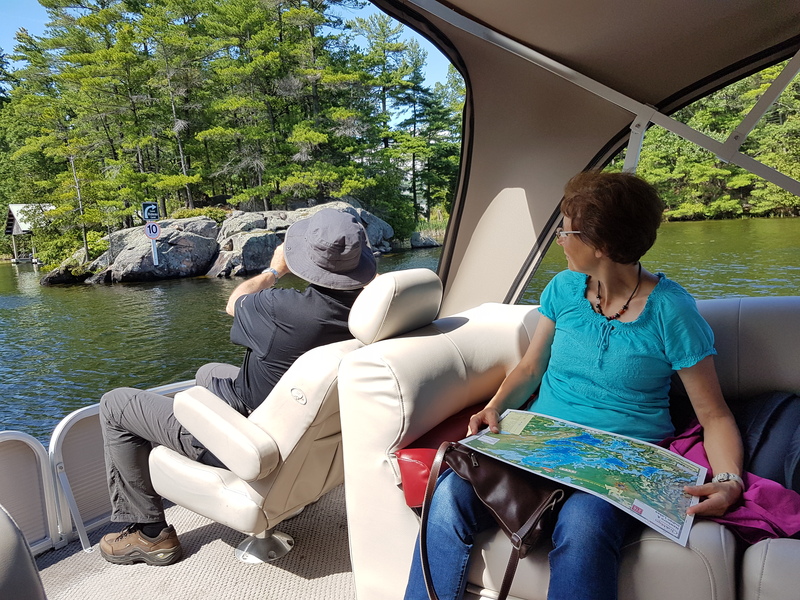 Cruise length 4.5 hours (may be a little longer due to time in locks) Includes a 1 hour stop-over at Jones Falls to explore this spectacular lockstation featuring the Stone Arch dam, Blacksmith Shop, Sweeney House Museum and visitor centre. This site is not recommended for guests with mobility issues as the terrain is steep & uneven. 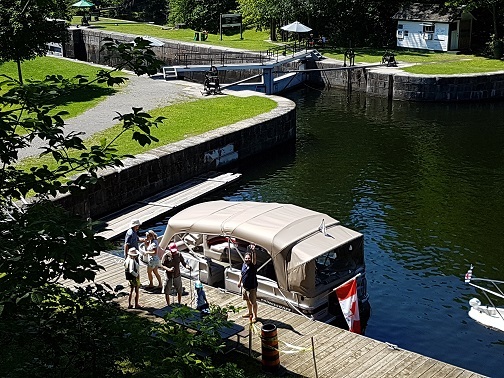 Cruise length 2.5 hours with a washroom break at Newboro Lock station. 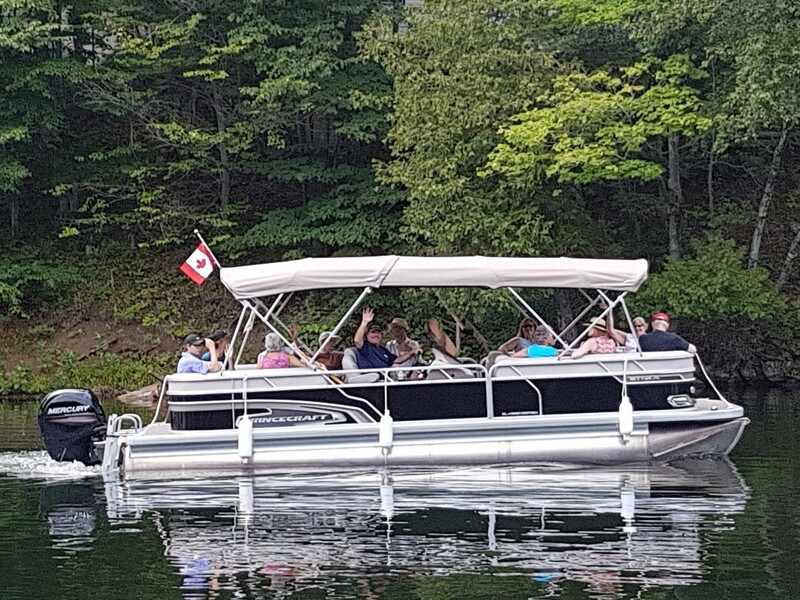 The pontoon accommodates up to 12 passengers and is very accessible even for guests with reduced mobility. 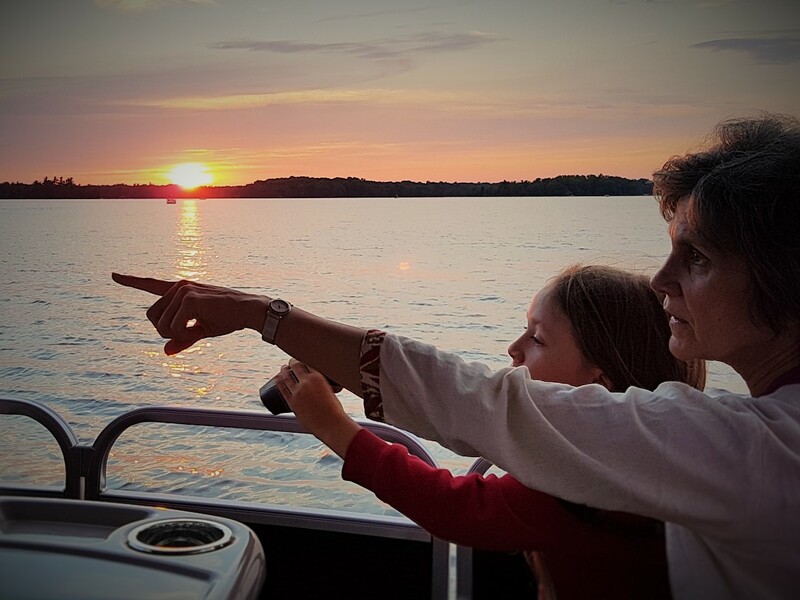 Your charter includes a personally guided tour with a navigation chart outlining the route the boat will be taking. Charters available June 1 to Oct 31. Call ahead to ensure your date & time. Choose from a 2-hour, 3-hour, 4-hour or 5-hour charter. Charters depart from Chaffey’s Lock but departures from Portland, Westport or Seeley’s Bay can be arranged for an additional $150. There is a 25% non-refundable deposit required to secure the charter but you can reschedule if the weather is inclement. We still go out in a light rain/drizzle but we cancel if there are thunderstorms or heavy winds. 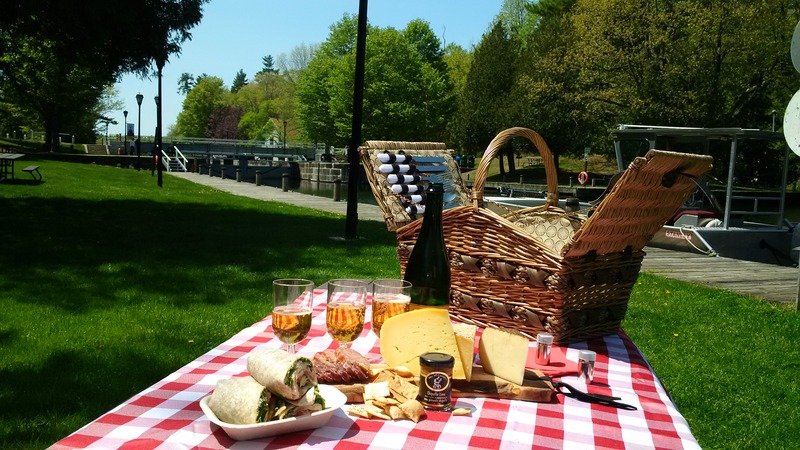 Lunch options include bringing your own picnic lunch, ordering a Gourmet Local Flavours picnic from Rideau Tours or dining at Hotel Kenney for passengers taking the 3 Lock tour to Jones Falls.